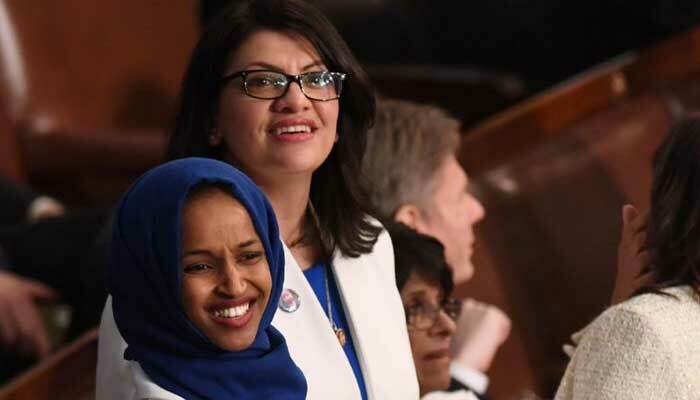 Rep. Max Rose (D-N.Y.) tweeted Sunday night, "Congresswoman's Omar's statements are deeply hurtful to Jews, including myself". Clinton vowed to calll Omar's office on Monday to discuss the issue with her further. "So that means she's supportive of these actions" by Omar. Dan Shapiro, the US ambassador to Israel during the Obama administration, harshly criticized Democratic Minnesota Rep. Ilhan Omar for saying that Jewish groups buy support for Congress to be pro-Israel, saying in a tweet that her comments are "a vile anti-Semitic trope [that] need to be condemned by all in our party". "Is she also Islamophobic for attacking Saudi's influence on American politics in exactly the same way?" CNN's John Berman said that is the problem many people have with her tweets and can be seen as "veiled anti-semitism". Nadler joined several other House Democrats who've criticized Omar, joining Reps.
"OF COURSE it's possible to critique AIPAC et al in a non-anti-Semitic way", Ungar-Sargon wrote. "However racist or bigoted tropes can be intentionally or unintentionally triggered in making those critiques and yes that matters-it always matters". Alvin Rosenfeld, director of the Institute for the Study of Contemporary Anti-Semitism at Indiana University, said that "there is obviously a serious fight going on within the Democratic Party with respect to how to deal with BDS and some within their party who advocate for it". And she later expressed regret while on "The Daily Show with Trevor Noah", saying she had to "take a deep breath and understand where people were coming from and what point they were trying to make". Shapiro continued on Twitter that "Some of us remained uncomfortably quiet after her BDS flip-flop & other offensive remarks because we were aware of efforts to work with her: by colleagues, party leaders, her local Jewish community". Meanwhile, those who strongly disagree with her views and find them ill-informed, offensive, and even anti-Semitic also have to speak up. "Chelsea - I would be happy to talk", Omar tweeted. And Chelsea Clinton tweeted in response to Omar, "We should expect all elected officials, regardless of party, and all public figures to not traffic in anti-Semitism". This article was written by _, a reporter for The Washington Post.